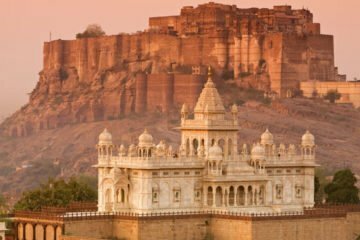 This 6 Nights and 7 Days Golden Triangle Tour with Udaipur package will take you through the Delhi, Agra and Jaipur City along with City of Lakes, Udaipur tour. 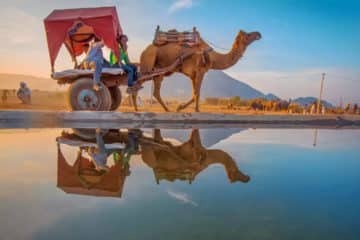 This Golden Triangle Trip with Udaipur Tour Package is best for those travellers who wanted to explore the rich inheritance of 4 India cities with leisure along with the Rajasthani Culture; this is one of the most popular tourist circuits in India spending 1 night in Delhi City, 1 night in Agra City, 2 nights in Jaipur City and 2 Nights in Udaipur ( City of Lakes ). Perfect plan for spending holidays on a 1 weak trip to India. Duration – 6 Nights & 7 Days Golden Triangle Trip. Enjoy Delhi, Agra, Jaipur and Udaipur Tour in 7 Days. New Delhi Sightseeing – Qutub Minar, Humayun Tomb, Lotus Temple, India Gate and Presidents House. Visit Fatehpur Sikri ( UNESCO’s Ghost City ) on the way to Jaipur. Jaipur Sightseeing – Amber Fort, Elephant Ride, Jal Mahal, Hawa Mahal, City Palace and Jantar Mantar. Udaipur City Sightseeing – City Palace, Lakes, museums and temples. Let a professional tour guide explain the histories of these cities. Luxury Transportation service on your whole tour. Private Luxury AC Car with Driver. Covered Destinations: Delhi, Agra, Jaipur and Udaipur. Pickup and drop back to your hotel or airport in New Delhi. 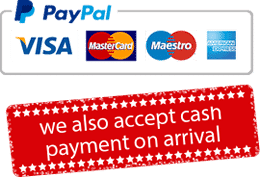 English speaking Tour guide (Delhi, Agra, Jaipur and Udaipur). Attractions: Red Fort, Jama Masjid, Qutub Minar, Humayu Tomb, India Gate, Lotus Temple and Presidential Buildings. Our Assistance will pick you up from the airport / hotel in New Delhi. If picked up from hotel then proceed to hotel for check in. In the afternoon Meet approved guide at hotel. 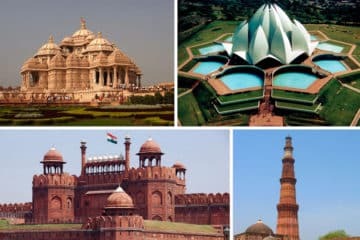 Proceed to monuments – Red fort, Jama Masjid, Qutub Minar, Humayum Tomb, President House (outside view), Parliament House (outside view), India Gate and Lotus Temple. After finishing the tour come back to hotel for night stay. Attractions: Taj Mahal, Agra Fort and Mehtab Bagh. Early morning leave for Agra, the city of love, 210 km away from delhi via express highway. (expected time 2 hours 45 minutes ). On arrival, check in at hotel. After freshening up meeting approved guide at hotel with driver. Proceed to the magnificent monument Taj Mahal, the building made for love by the 5th Mughal Emperor for his beloved wife Mumtaz Mahal in the 16th century in white marble with decorative work of semi precious stone. After finishing Taj Mahal, proceed to Agra Fort build in the mid of the 15th century build by the 3rd Mughal Emperor, Akbar the great. Ending the Fort and proceeding to Mehtab Bagh or the moon garden for the sunset of the Taj Mahal. Moving back to hotel for night stay in Agra. Drive Agra to Jaipur – Enroute visit Fatehpur Sikri. Attractions: Fatehpur Sikri, City Palace, Jantar Mantar (Observatory) and Hawa Mahal (Palace of Wind). Morning proceed to Jaipur city (pink city). En route to Jaipur see Fatehpur Sikri (ghost city) made in 1581 AD. Proceed to Jaipur, after reaching check in at hotel. In the afternoon proceed to City Palace a building with a brilliant architectural view of both Hindu(Rajput) and Muslim (Mughal) element. Then moving on to a nearby structure known as Jantar Mantar, a beautiful building made by Raja Sawai Jai Singh as an observatory. Moving on to Hawa Mahal or the Palace of Winds, a palace made for the royal ladies of the rajputs through which they could watch royal function without been seen by anymen. Going back to hotel for night stay in Jaipur. Morning after breakfast moving to Amber Fort, a beautiful attraction made outside the city walls. One of the most unique forts made in the Rajput period from where you could have the glance of the city below, as being on a hill makes it a fun experience to have a elephant ride to the top of the fort. Afterward moving back to hotel for rest. Evening experience by clients by there own by roaming free in the unique colourful bazaars of the majestic city. Spending the night at the hotel. Next day drive to Udaipur and check in at hotel. Rest in hotel for the night. 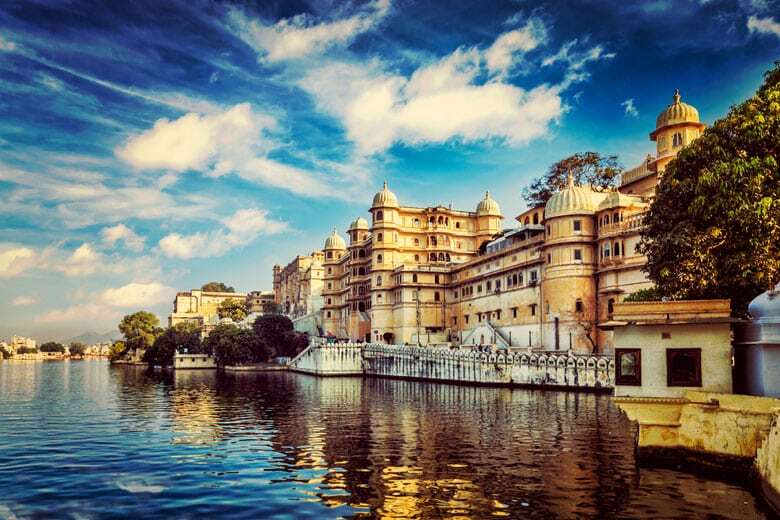 Start tour of the Udaipur which is known for its Palaces, Museums, Temples, Lake, and Gardens. See the The City Palace and Museum which has the largest palace complex in Rajasthan. At the museum view collection of objects belonging to different Maharajas of Udaipur. Visit The Picholia Lake , Udai Sagar, and Pratap Sagar the most beautiful lakes in the state. Afterward move to Other Attractions in the city like Saheliyon ki Bari, Jagdish Temple, Jag Mandir, Bhartiya Lok Kala Mandir, Pratap Memorial, and Ahar Museum. This morning after breakfast, moving towards Jodhpur airport taking flight for Delhi or drive to Delhi via AC Car. Arrive Delhi to board the flight for your onward journey or flight back to your home. Ending the tour with experience from four different city and happiness on the face.